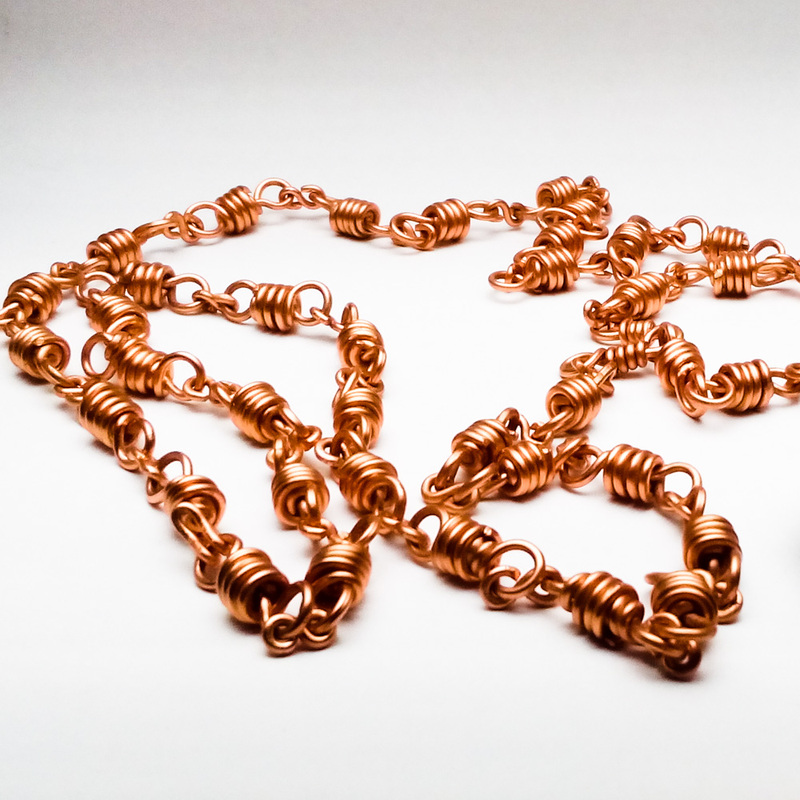 The Double Quad Wrapped Copper Chain has a very beautiful design that features links created of two layers of copper wrapped four times. All of this is connected by copper hook clasp which allows unbelievable amounts of strength, fluidness, and flexibility. 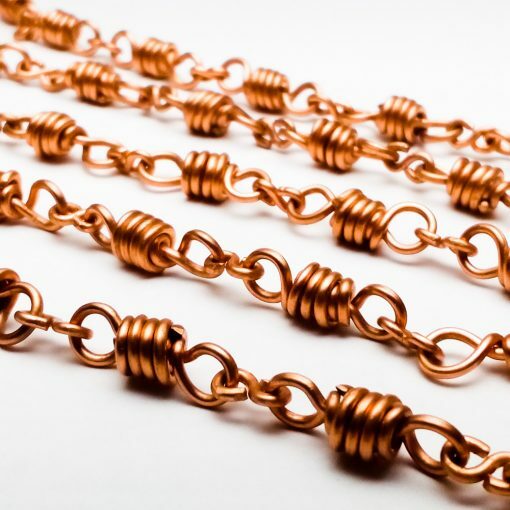 Created by Black Six Jewelry with comfort in mind, the Double Quad Wrapped Copper Chain has been checked for overall smoothness to prevent catching on clothing and skin. Double Quad’s unique pattern is completely unisex, making it suitable for both men and women. A machine fabricated chain cannot compete with the workmanship of a handcrafted chain, and the Double Quad Wrapped Chain proves it every time. The Double Quad is 24″ (60.96 cm) long, a little over 1/4″ (6.35 mm) thick, and it closes with a handcrafted hook clasp. Each individual link and link connector is painstakingly made by hand, shaped, wire wrapped eight times, and then joined together to form the chain. This chain is very comfortable for wearing every day and looks great with both small and large pendants, and especially with any of our wrapped stone pendants! In addition, it’s certainly strong enough to securely hold even the heaviest of pendant stones. 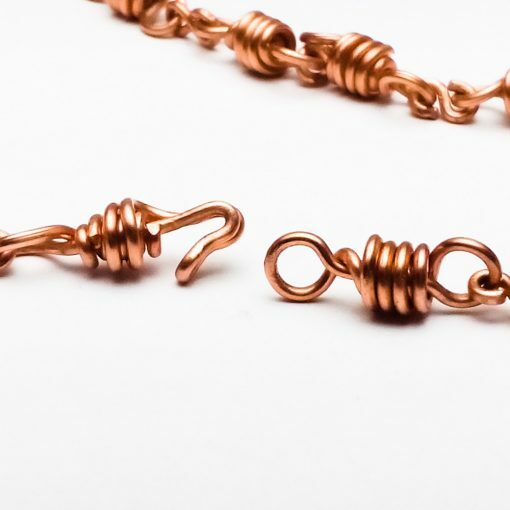 The Double Quad chain will easily fit a 6mm pendant bail or larger. Not every Double Quad Wrapped Copper Chain is individually photographed. 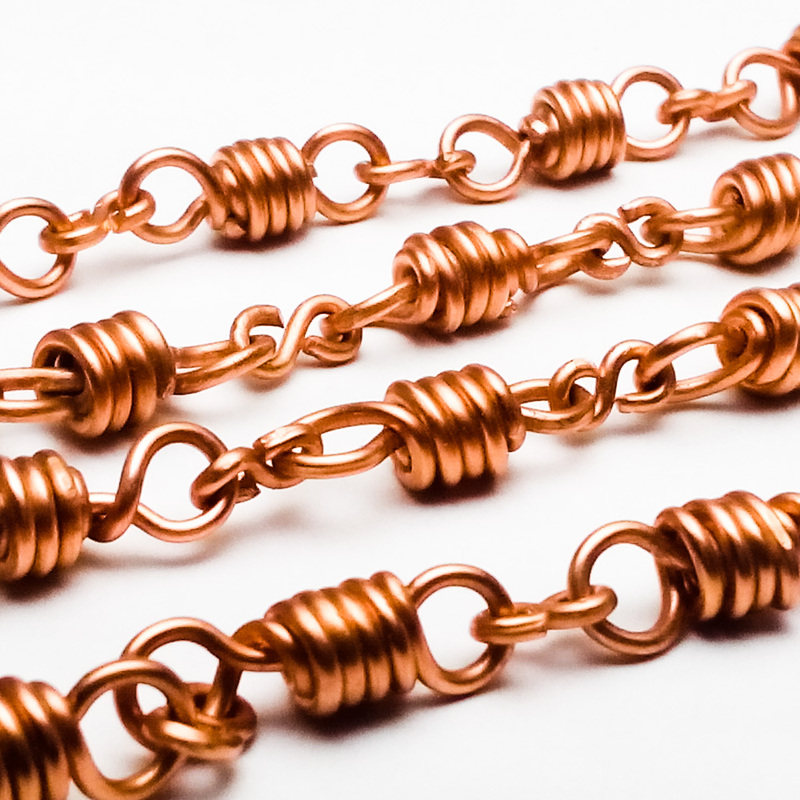 The chain you receive will be very similar to the one pictured but may differ slightly due to variations during the fabrication process (hammering, patina application, etc).